Similar to the popular flight simulation games in the 1980s, video games are now putting would-be forklift drivers to the task – but don’t worry, if you bump into another forklift, nobody gets hurt. A new simulation game called Forklift Truck – The Simulation offers real-life warehouse situations for gamers to work through. With colorful graphics and interactive controls, the game aims to offer that authentic forklift driving experience from the comfort of one’s computer screen. The game features a full 3D environment and realistic conditions. Plus, there are 40 scenarios to transport different goods through a warehouse. Loading & unloading, avoiding hazards, paying attention to changing on-the-floor conditions – Forklift Truck offers all this and much more! Outside of the familiar warehouse, the game also takes simulation drivers to bustling harbor districts, freight terminals and other forklift settings. Available for just $9.99 in the Mac Game Store, Forklift Truck – The Simulation gives anyone the opportunity to really see what it’s like to get behind the wheel. Feedback has been positive so far, as gamers have commented on the “reality” aspect of the experience. Instead of battling space aliens or fighting medieval dragons, the game’s genuine, practical interaction has been a hit with video game players of all ages! Along with Forklift Truck – The Simulation, other popular smartphone games (available in iTunes) include Extreme Forklifting, Forklift Master Realistic 3D Simulator, Crane Truck, Forklift Driver and more. Move over, Pac-Man. Make room, Donkey Kong, Final Fantasy, Super Mario Bros. and Assassin’s Creed – the next generation of video games has arrived. Forkliftcertification.com uses real-life, simulated situations in all of our forklift training modules. Developed by dedicated professionals, out courses help beginner drivers get initial certification and veteran forklift operators obtain renewal training. With OSHA-compliant content, our specialty is three time-tested, proven programs: the Forklift Training Kit, Train a Trainer class and the Bundle Training Package. Take your class online, and you’ll have official papers immediately. Our customer service team can be reached on our contact page, or pick up the phone and call (888) 278-8896. Companies like Snap-On Tools, Harley-Davidson, FujiFilm, Siemens and Jenny Craig are long-time clients – we’d love to help your company, too! 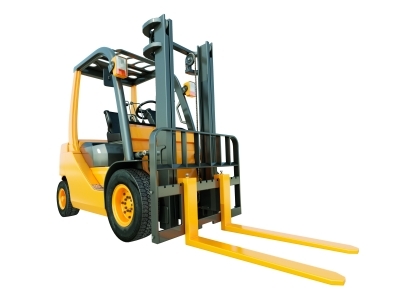 Thanks for reading the Forklift Certification blog.